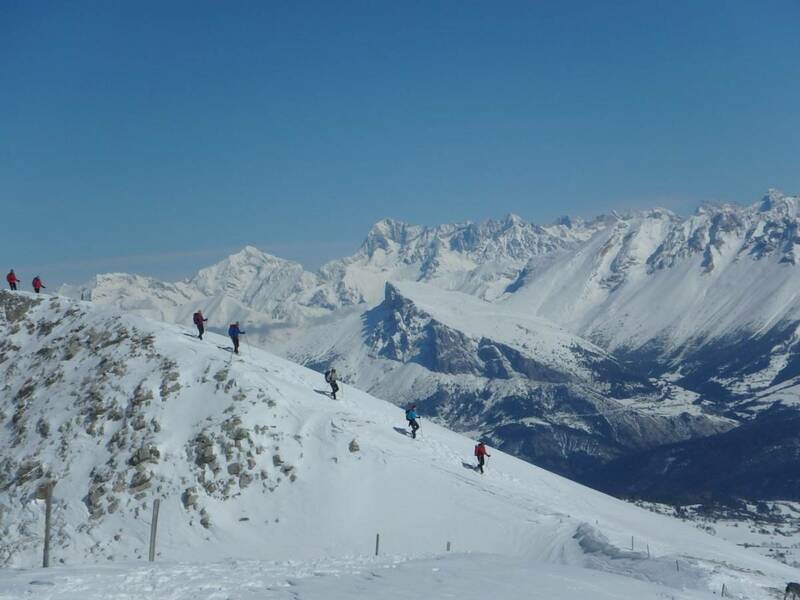 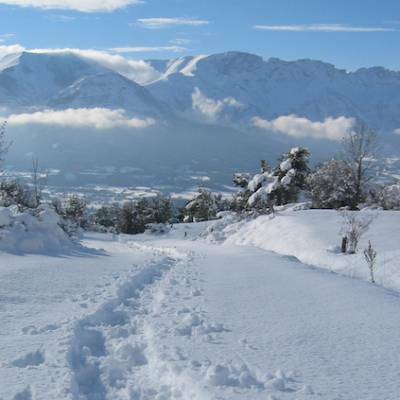 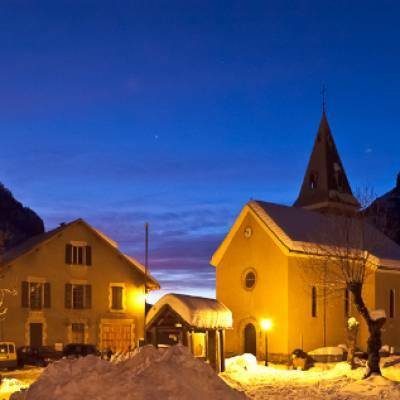 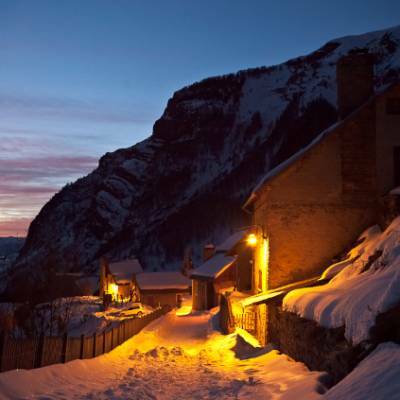 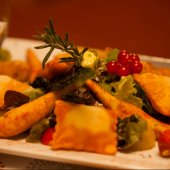 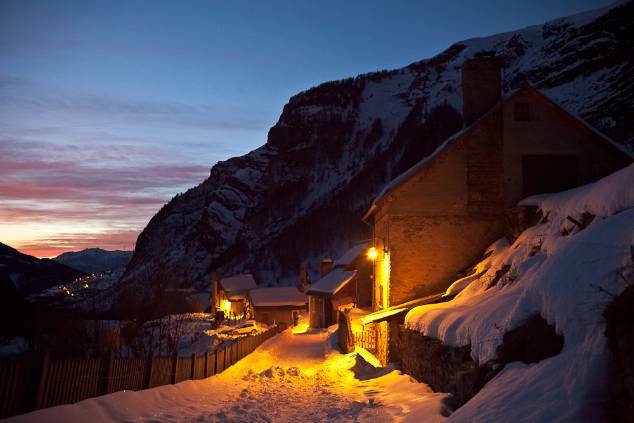 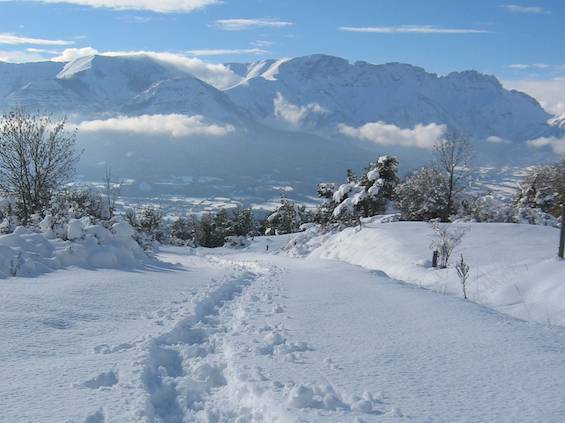 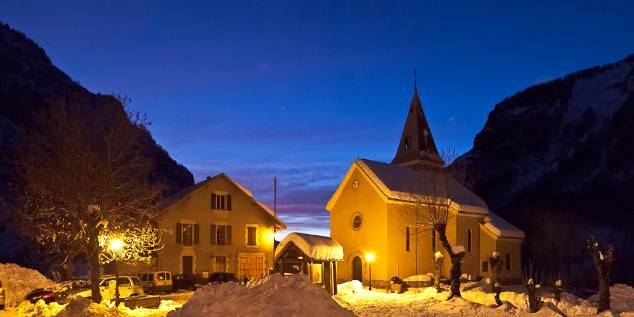 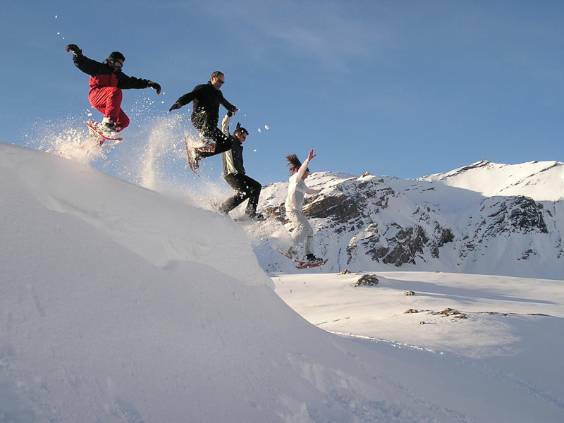 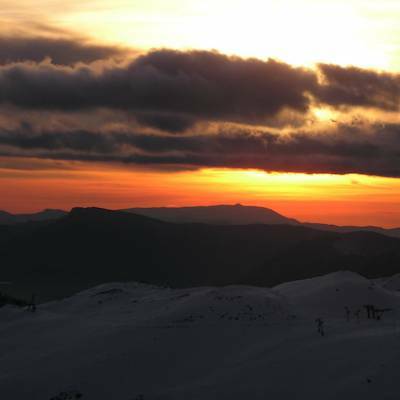 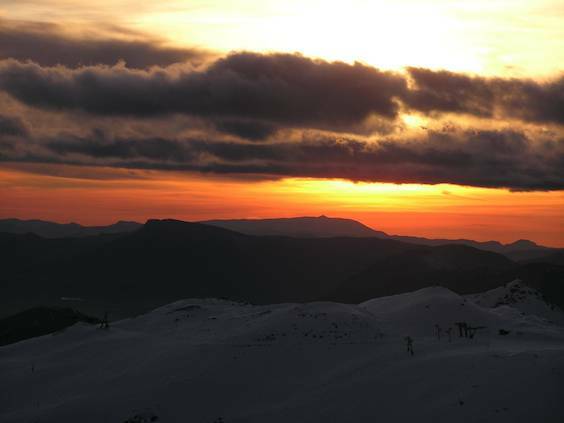 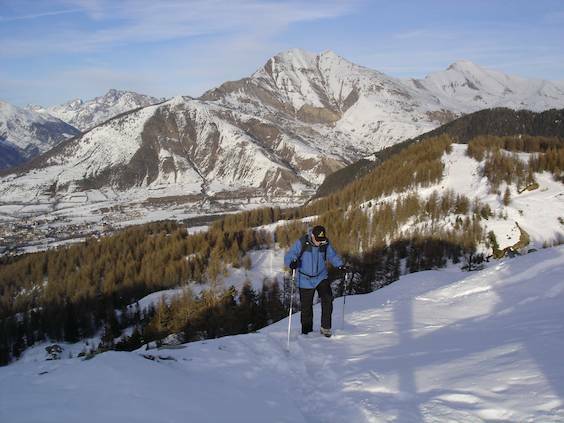 become accessible to all - perfect for escaping the hubbub of the ski resorts. 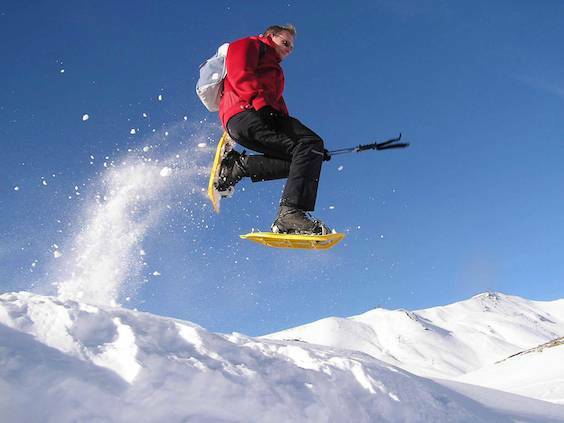 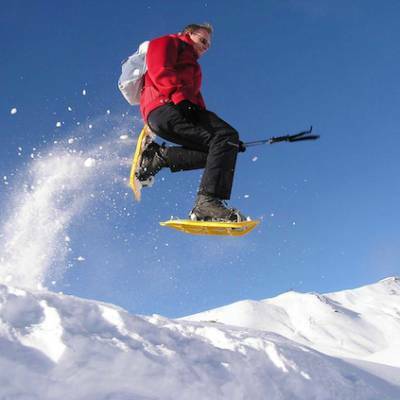 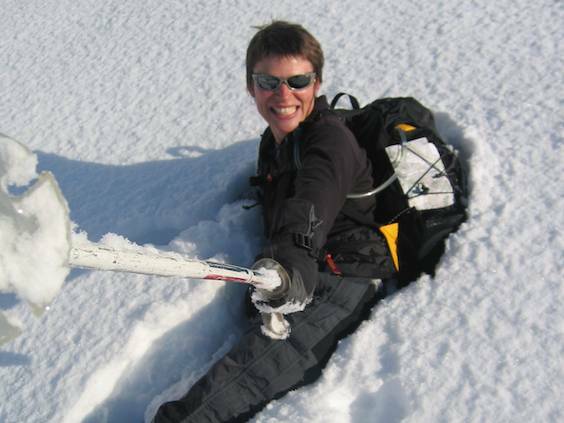 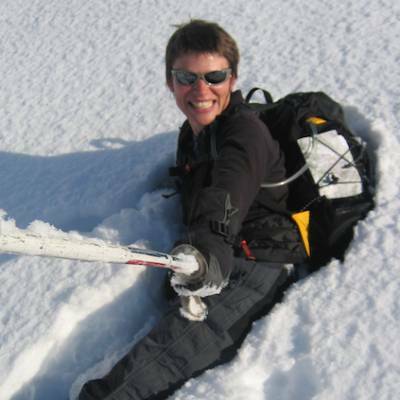 Modern snowshoes are high tech, not like the old fashioned tennis racket ones! 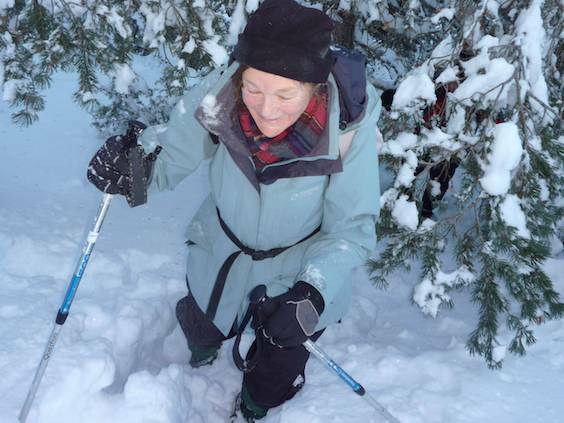 They spread your weight out over a greater surface area so you don't sink as far in to the snow allowing you to walk without sinking up to your knees every step. 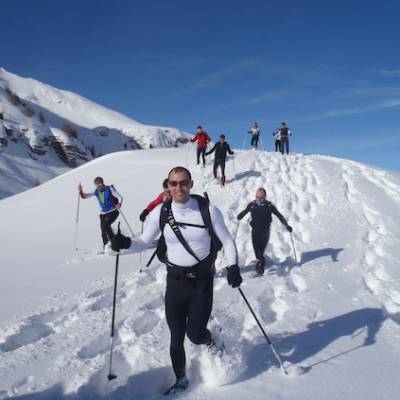 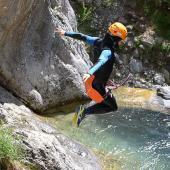 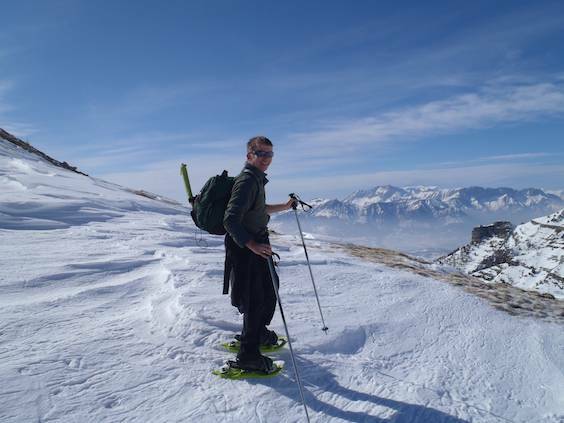 You can have your heel free which is the best position for most conditions or fixed in to the snowshoe for more stability going downhill or traversing. 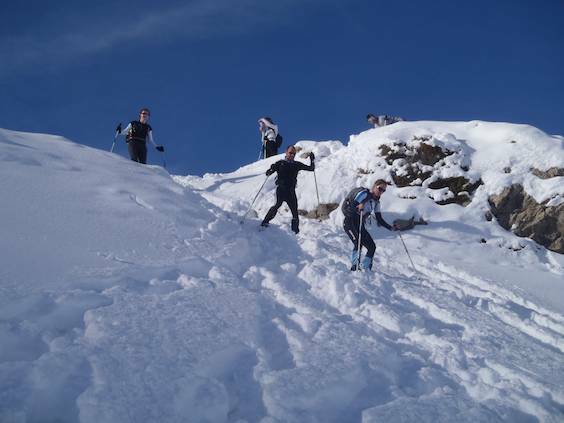 For going up hill there is a heel lift feature to make it easier and for icy conditions there are little crampons and front spikes for grip! 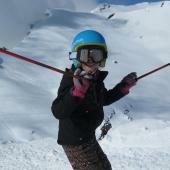 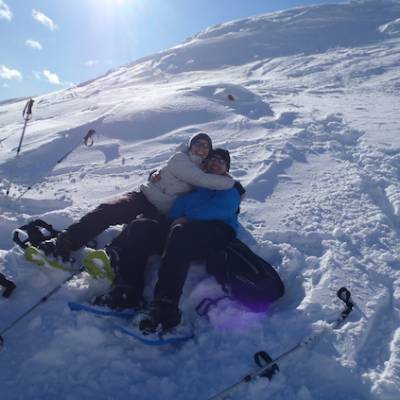 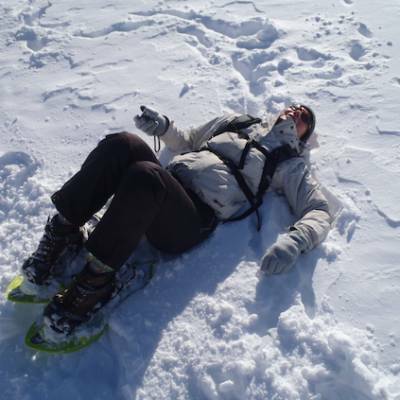 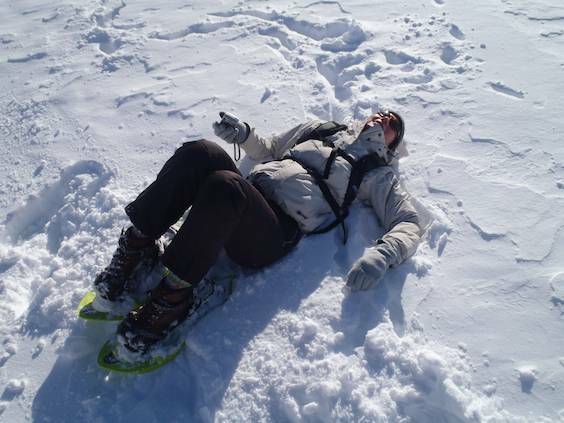 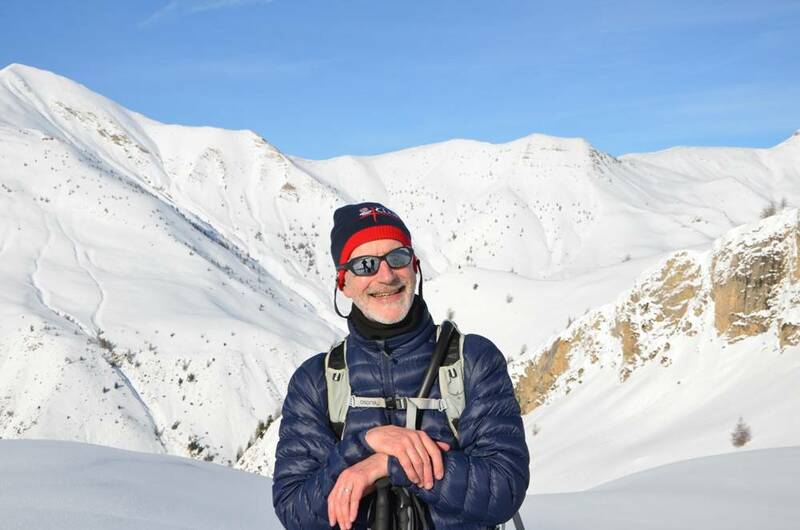 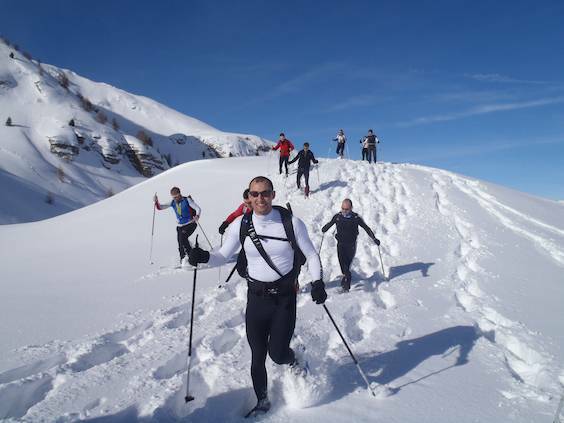 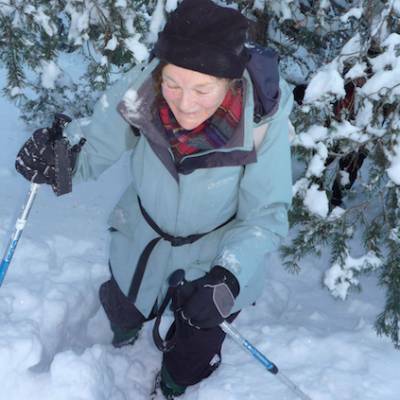 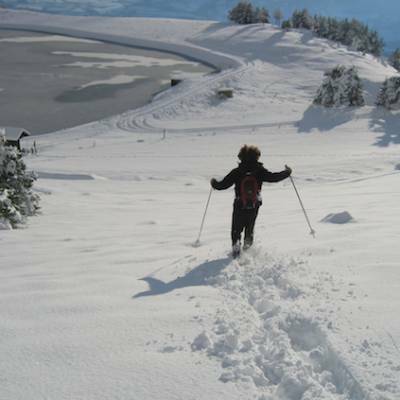 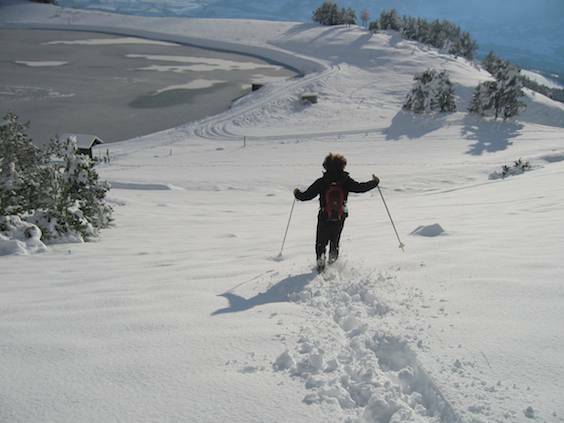 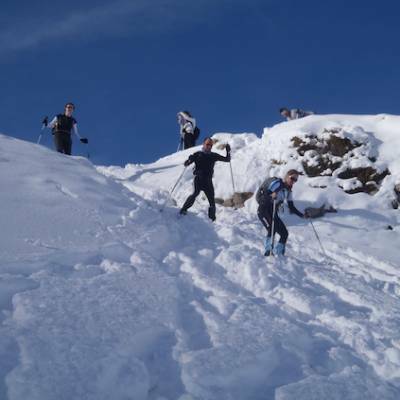 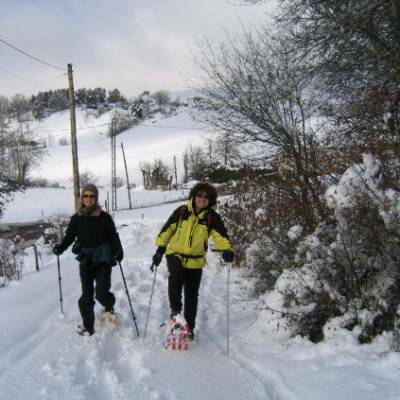 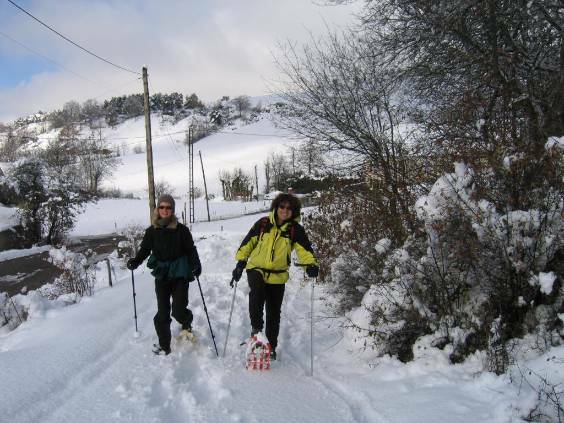 It is adviseable to use poles when snowshoeing to help with balance. 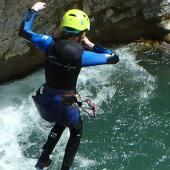 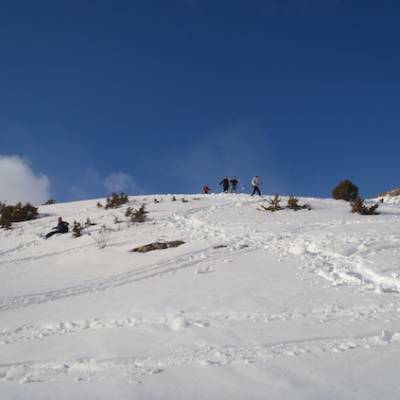 physical challenge for the way back! 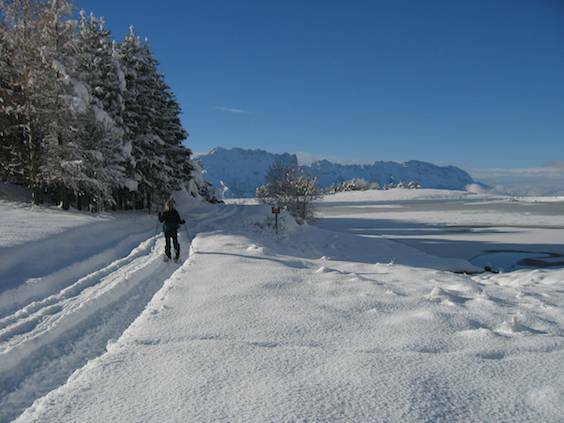 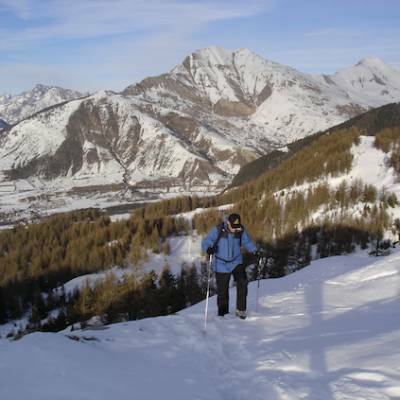 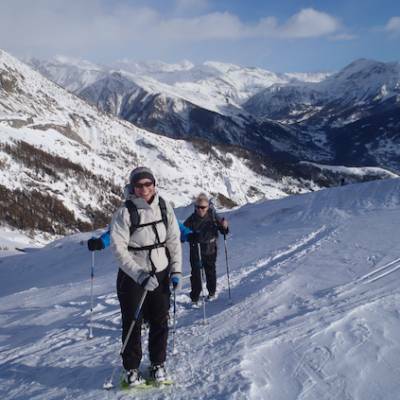 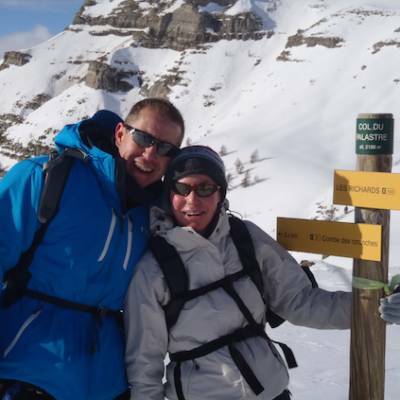 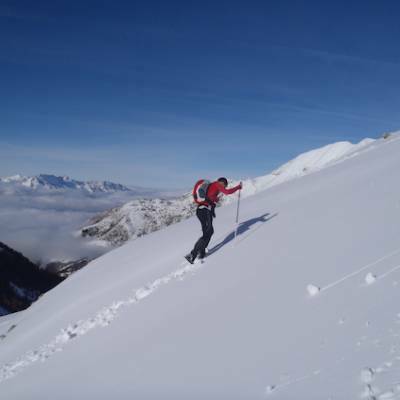 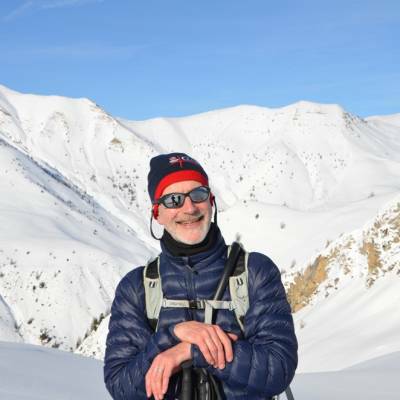 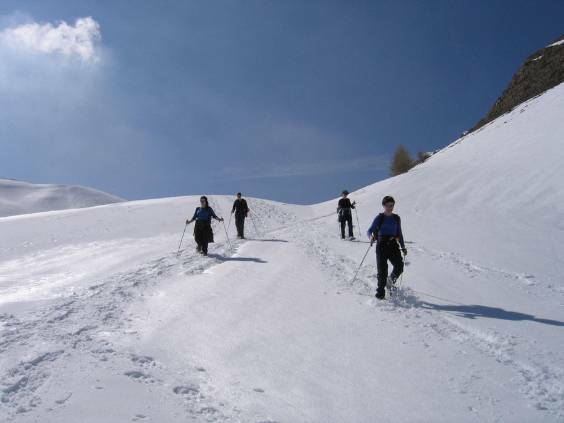 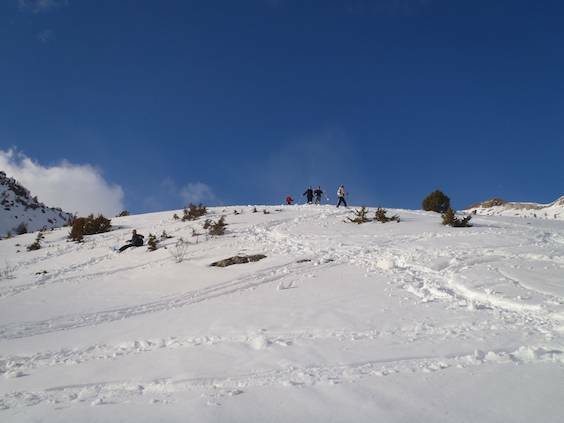 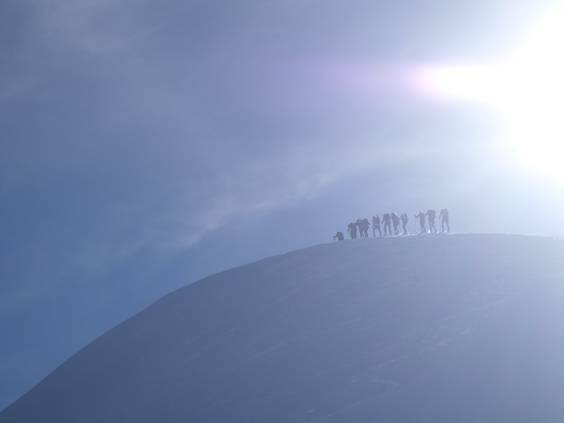 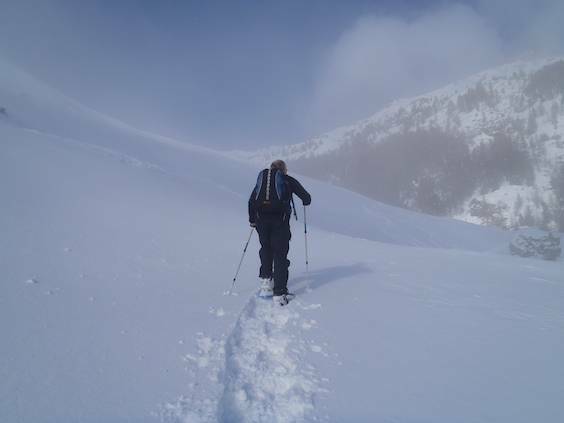 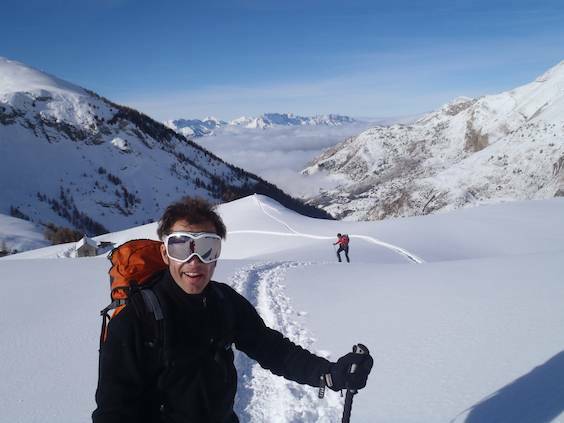 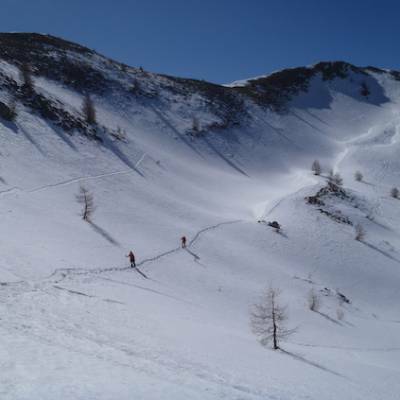 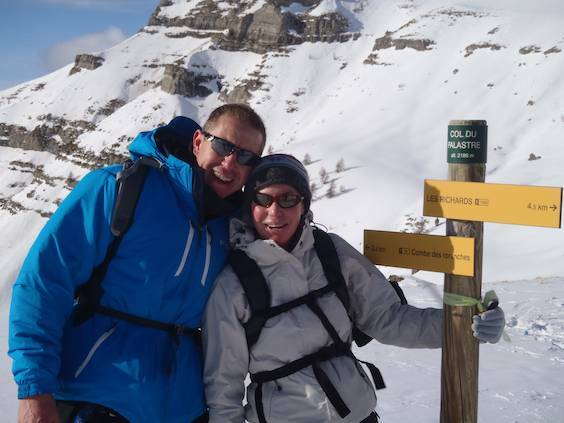 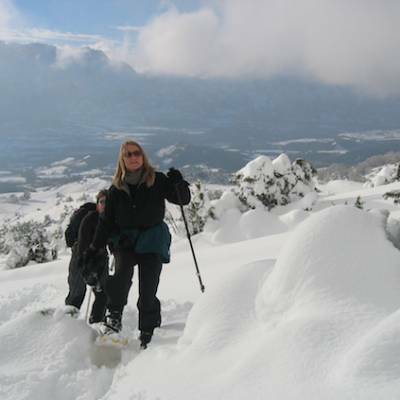 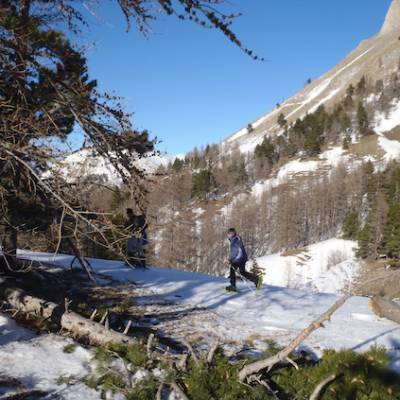 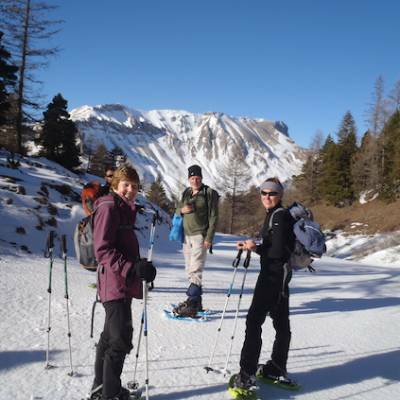 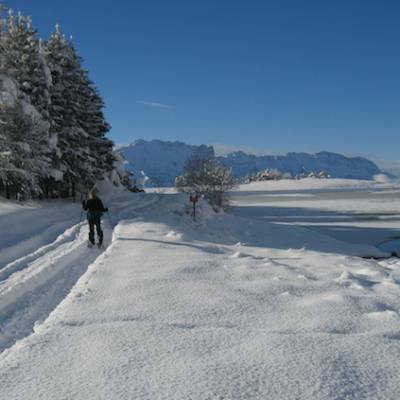 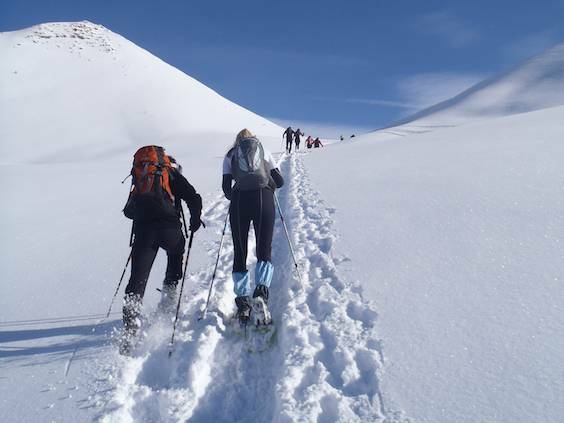 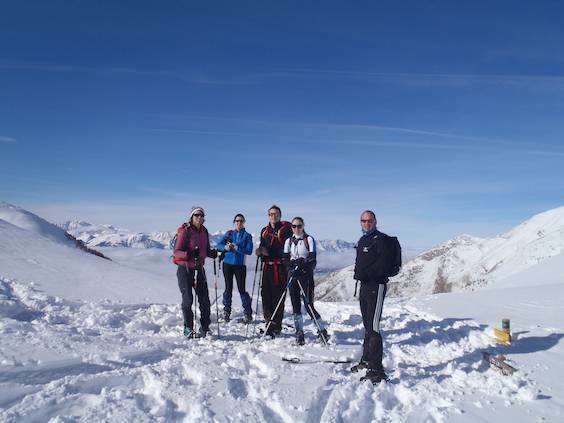 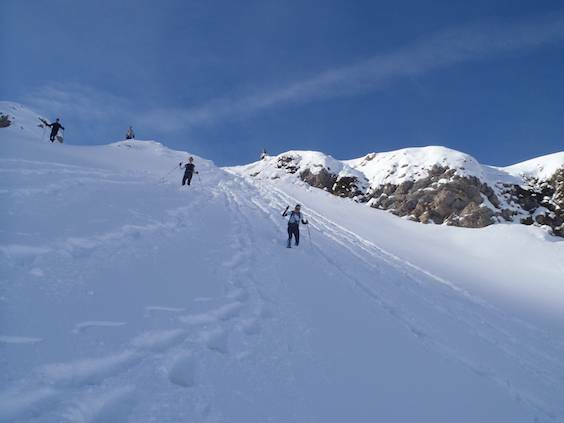 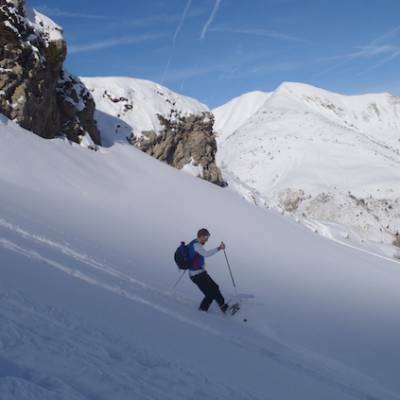 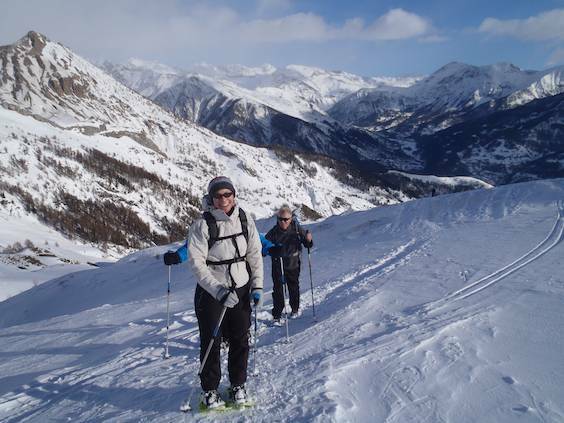 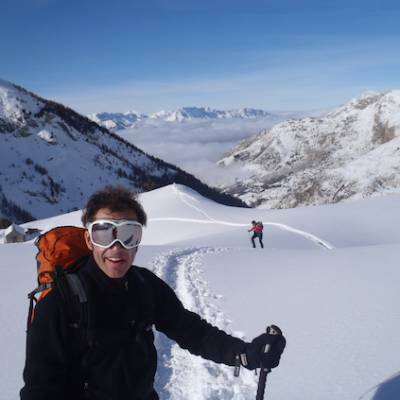 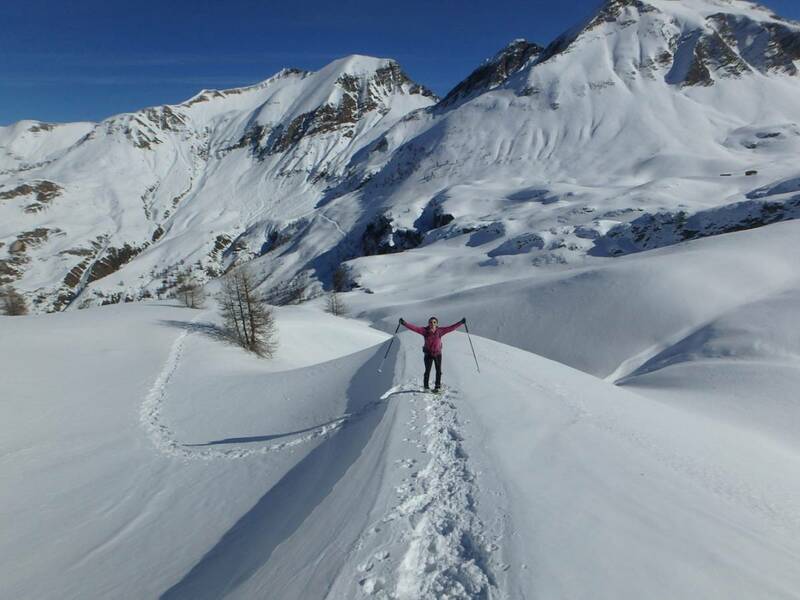 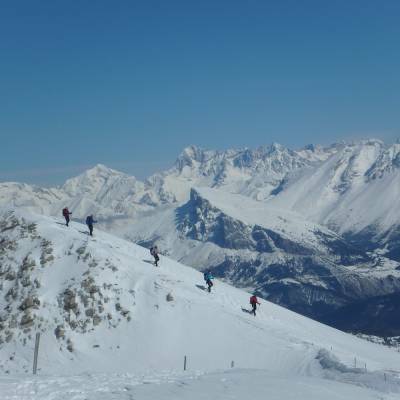 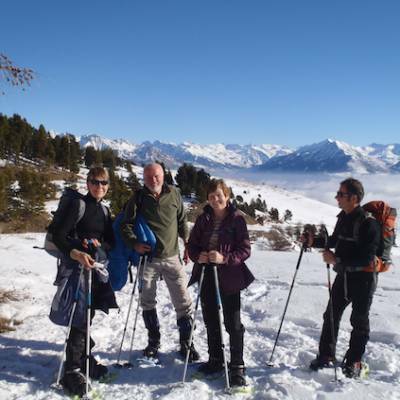 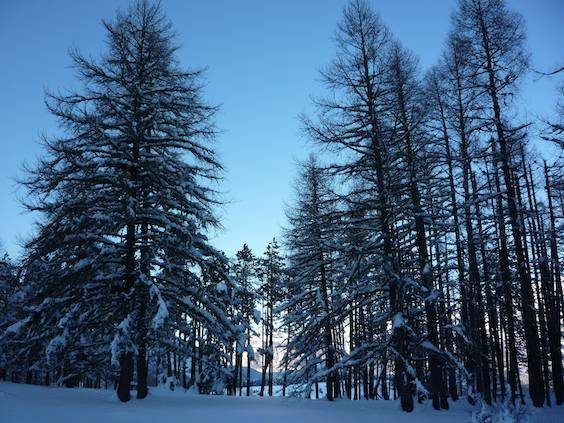 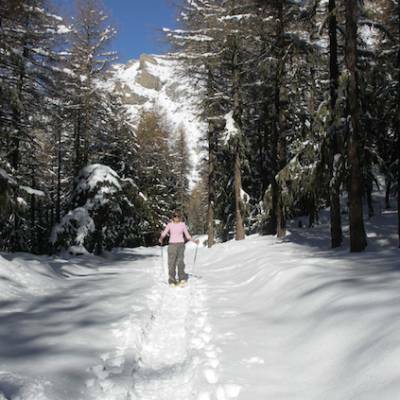 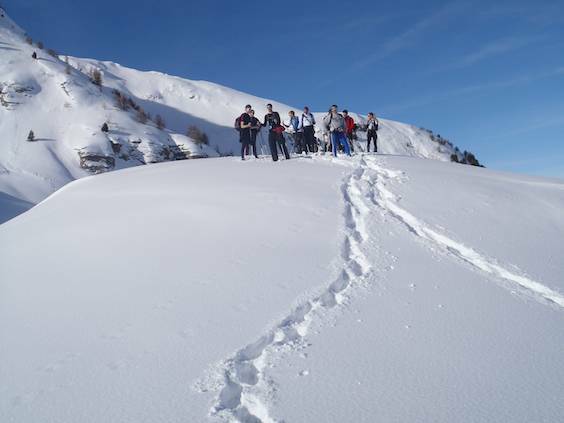 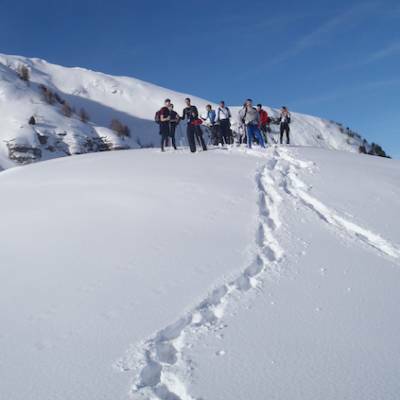 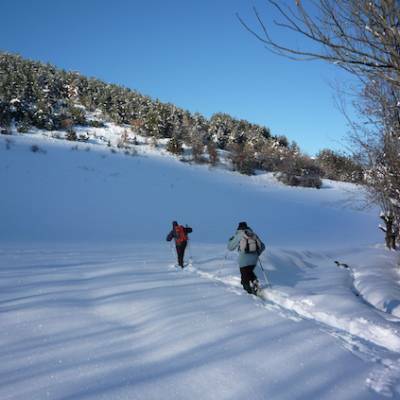 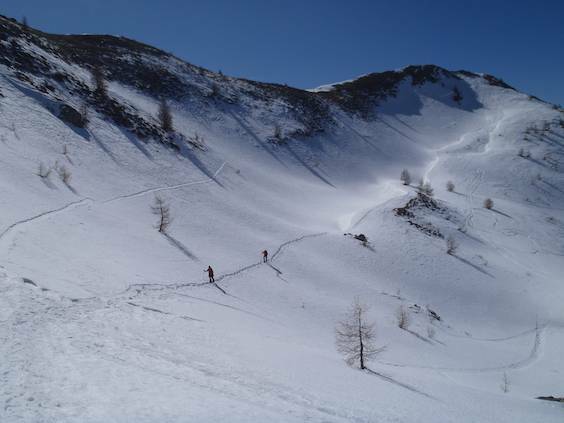 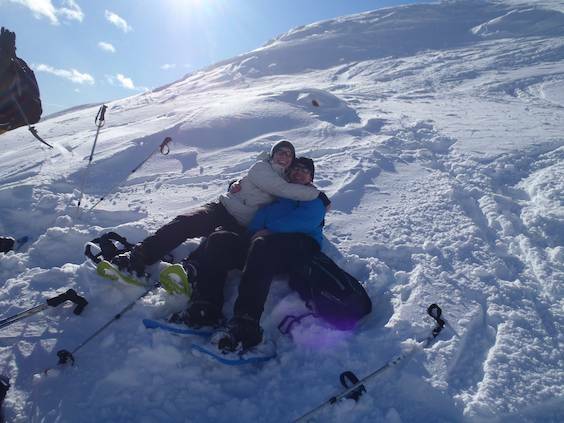 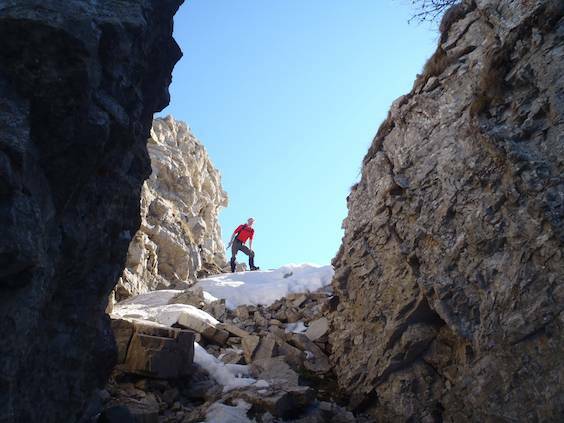 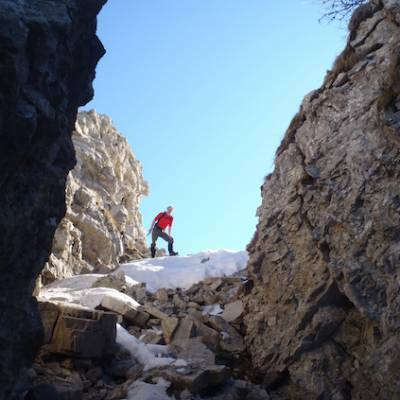 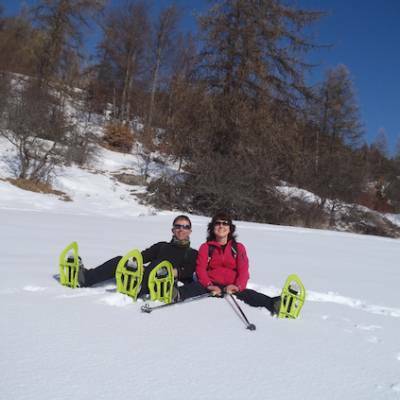 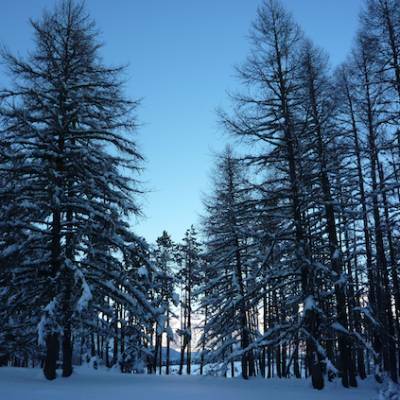 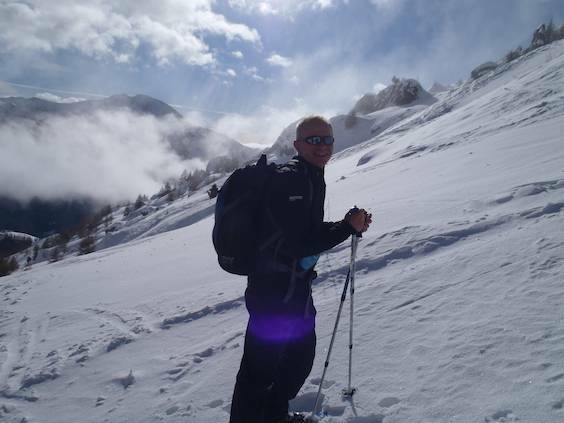 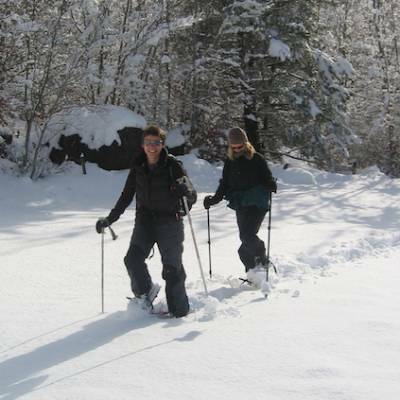 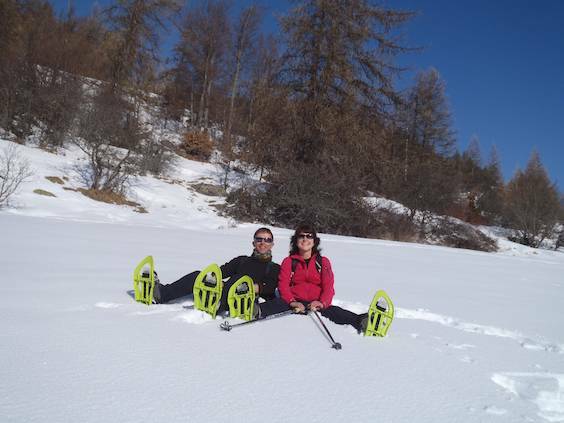 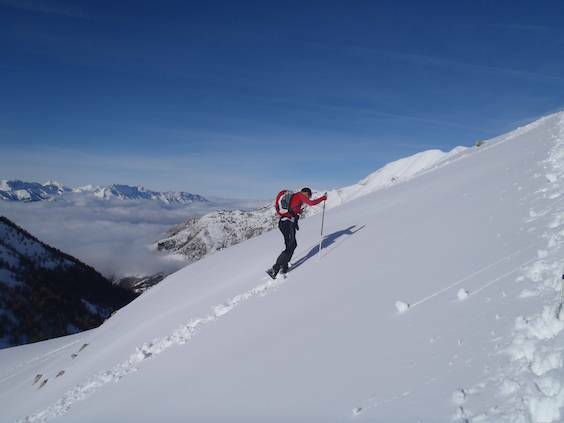 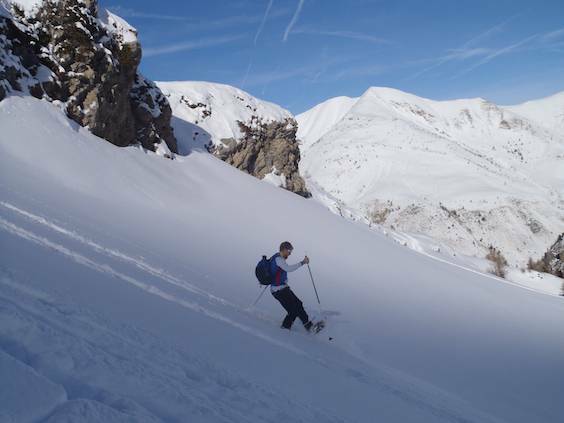 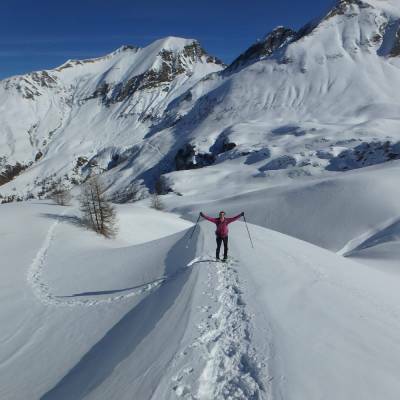 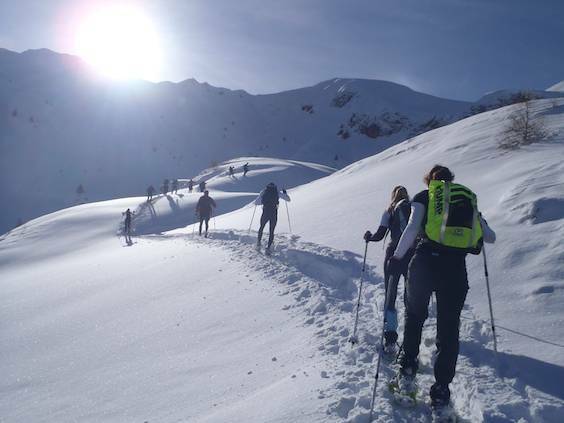 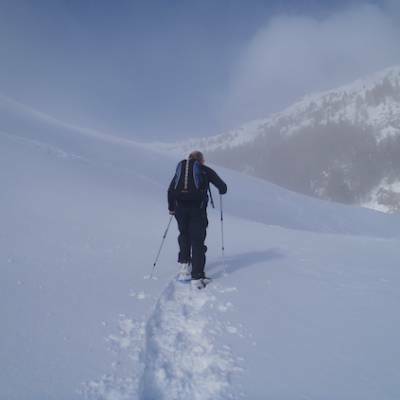 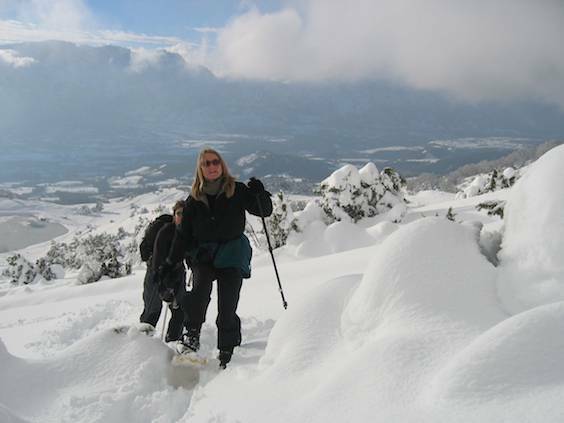 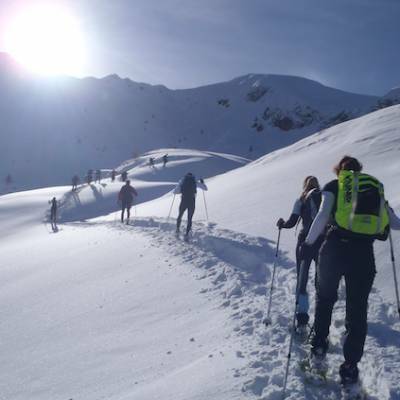 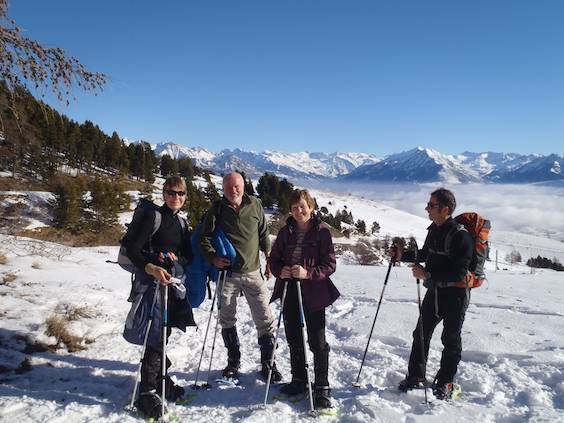 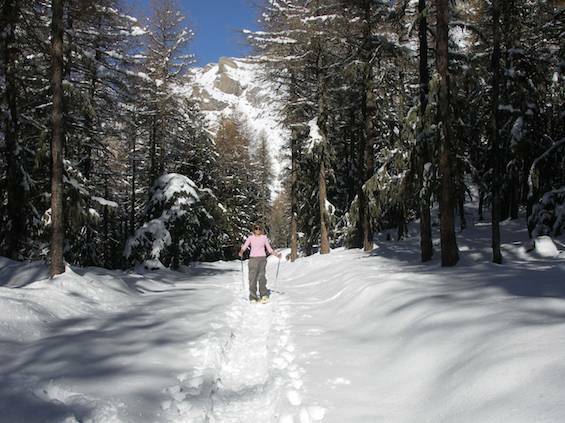 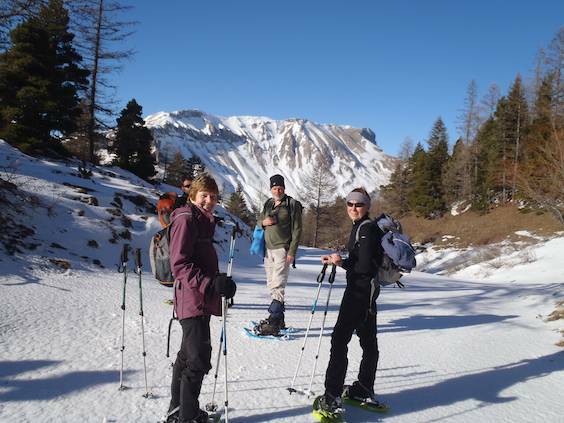 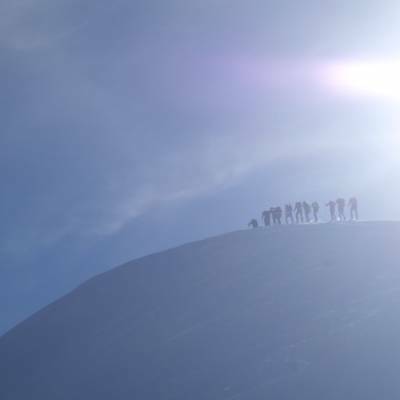 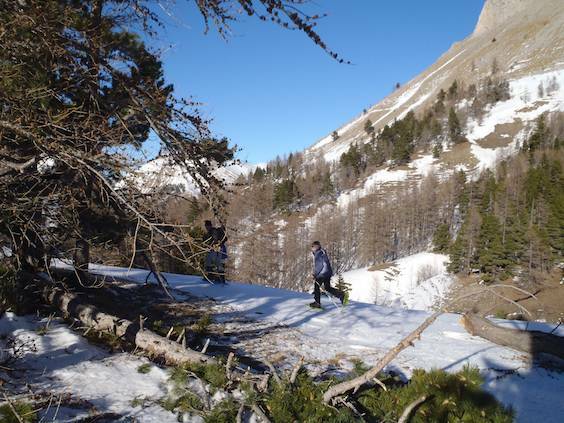 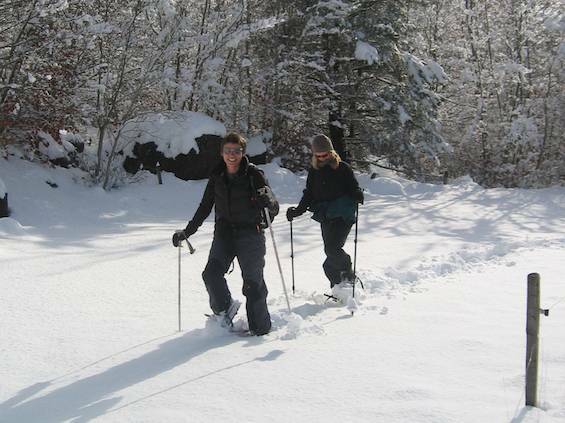 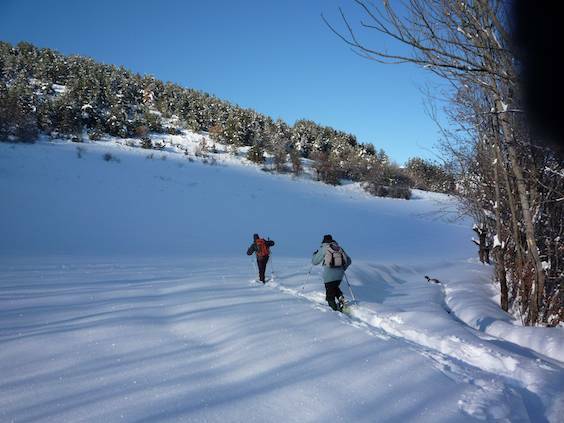 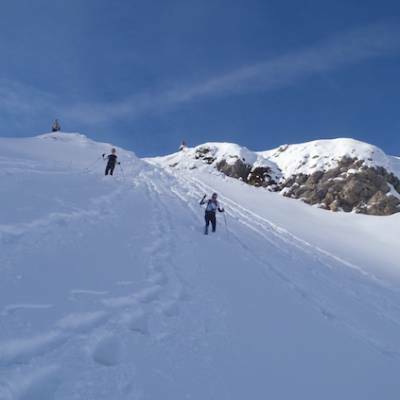 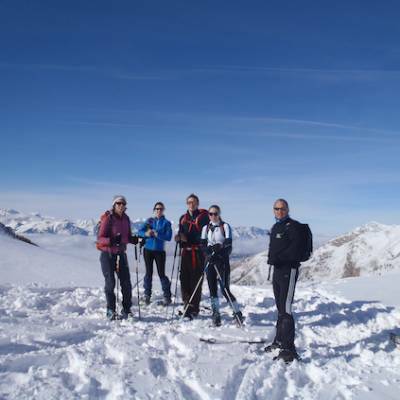 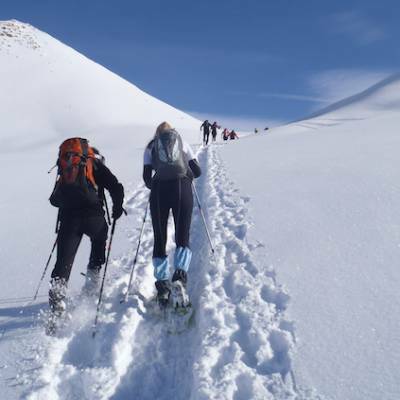 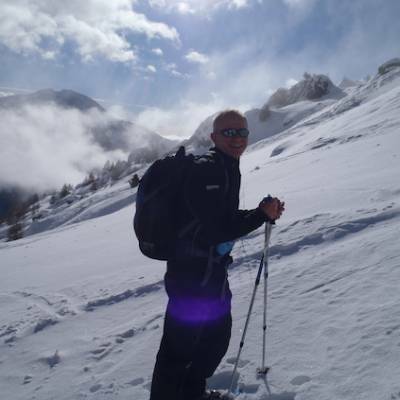 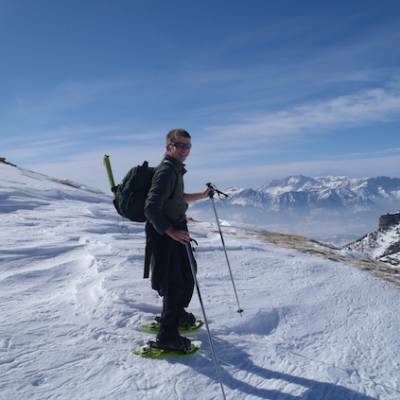 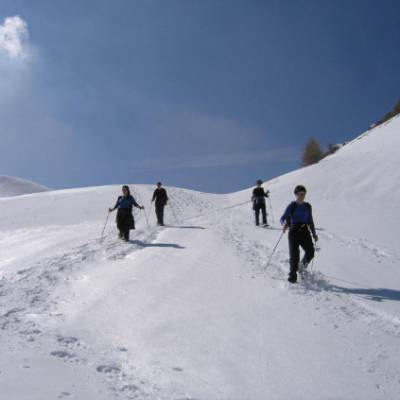 We highly recommend using a guided option when choosing snowshoeing.